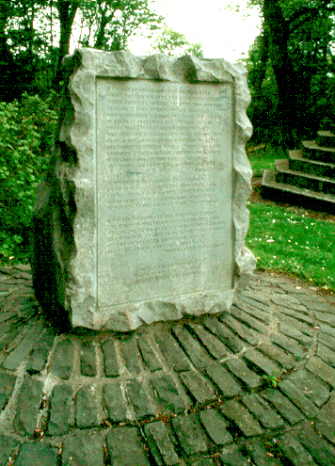 The monument marks the spot where the Covenanters camped before the Battle of Rullion Green. Whilst there, they sent various envoys into the city, seeking support, but this was not forthcoming. The Covenanters were later to be defeated at the Battle of Rullion Green.